Returning late last year with a solid new single, Melbourne’s Ocean Grove follow up with another slapper, Ask For The Anthem. 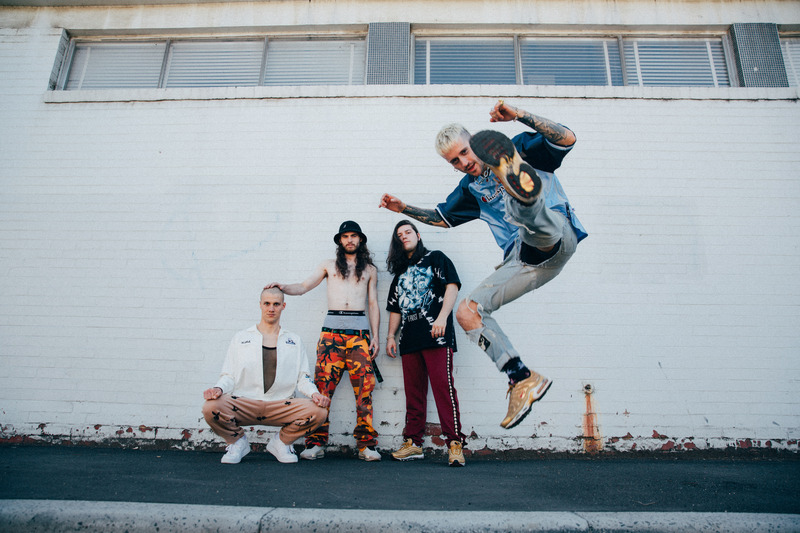 In a more direct and clear-cut manner to their nu-metal, Ask For The Anthem leads down a less heavy and more rhythmic path for the four-piece. What’s not lost, however, is the comradery between band members—making the track as tight and cataclysmic as ever. RELATED: See our gallery of Ocean Grove supporting Architects HERE. After dropping an amazing Tony Hawk Pro Skater-inspired teaser on socials earlier this week, Ocean Grove have unveiled their new bass player, Twiggy Hunter. Following last year’s departure of vocalist, Luke Holmes, and guitarist, Jimmy Hall, Dale Tanner now fills in as full-time frontman of the group. With the new formation, Tanner explains the band’s new experimentation and how he believes Ask For The Anthem is their most creative output yet. “It is by far the most time and energy we have invested into any one song. Just so you know, this is not a song about being cool and getting the girl. Look closer,” explains Tanner. Ocean Grove will take their new lineup and new single on the road from this weekend with Hands Like Houses. See all dates below.